PARIS (Bloomberg) -- PSA/Peugeot-Citroen SA will revive plans to build a factory in India, CEO Philippe Varin said. Rising disposable incomes are boosting demand for cars in India, the world's third-fastest growing major economy. Competition is intensifying as automakers including Toyota Motor Corp., Volkswagen AG and Renault SA invest to expand in the market. VW, bought a stake in Suzuki Motor Corp. this year as part of a tie-up to develop small cars for the Indian market. PSA last year suspended plans to build a plant near Hyderabad, the capital of Andhra Pradesh, pending the outcome of negotiations for a share swap with Mitsubishi Motors Corp.
By the time those talks were broken off in March, PSA had shifted its focus to opening a second Chinese joint venture. PSA now projects that the venture will be concluded in early 2011, freeing management time for the Indian project. In an earlier draft of its India plan, PSA was considering an investment about 700 million euros ($934 million) to build a factory with annual production capacity of about 100,000 vehicles, a person with knowledge of the matter said in July. The Peugeot brand, which exited an Indian venture in 1997 after local partner Premier Automobile Ltd. linked up with Fiat S.p.A., may lead the French carmaker back into the country. 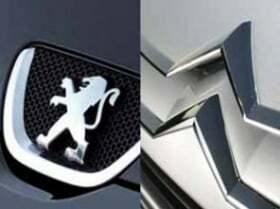 Unlike Citroen, “the Peugeot brand has been in India before so it already has some history there,” Varin said. Under Varin, Peugeot is pushing to expand overseas and reduce dependence on saturated western European markets, which account for about three-quarters of the company's revenue. The share of volume sales from outside Europe rose to 36 percent in the first half from 34 percent a year earlier. Peugeot's European registrations for the first 11 months fell 1.9 percent to 12.74 million cars, according to Brussels-based industry association ACEA.